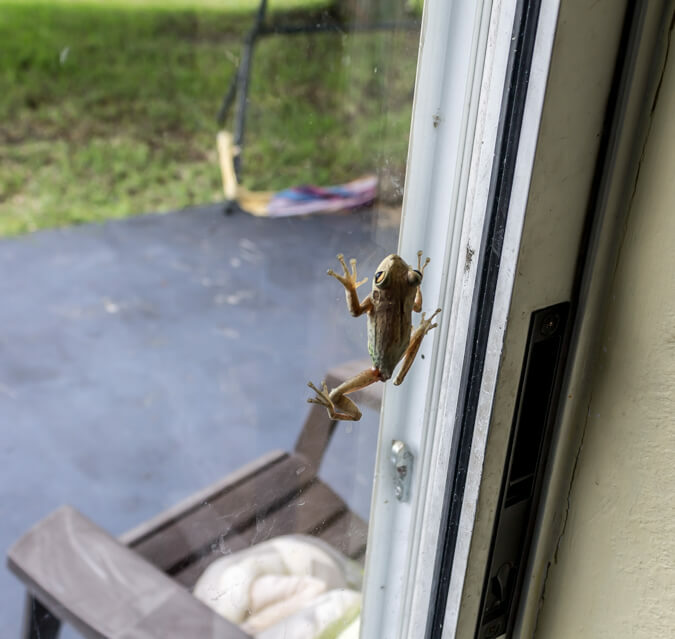 When it comes to home invasion, few animals are as crafty as Florida’s tree frogs. Other than replacing weather stripping around openings, caulking, and keeping your doors and windows shut, there isn’t a whole lot you can do to keep them out. They can find a way into your home in the blink of an eye. 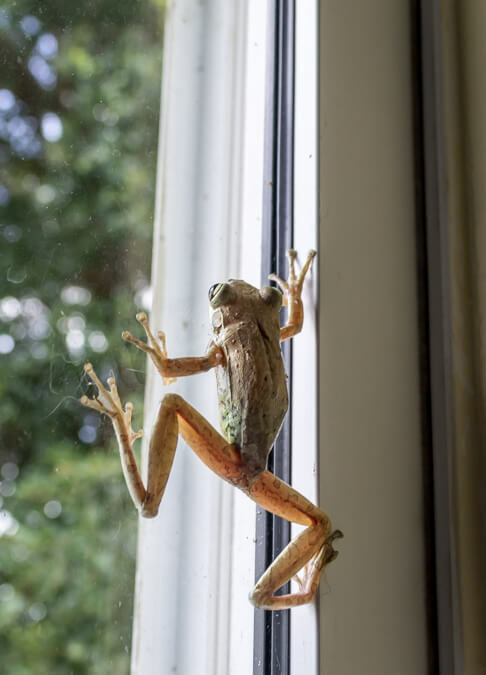 Leave the back door open for a second to put some pork chops on the grill and BAM, you’ve got a tree frog in your house. No matter how inhospitable of an environment your house may be for these creatures, frogs will always seem to find a way in. So what do you do when faced with a home invader? Your response to a home invasion should vary depending on the intruder. 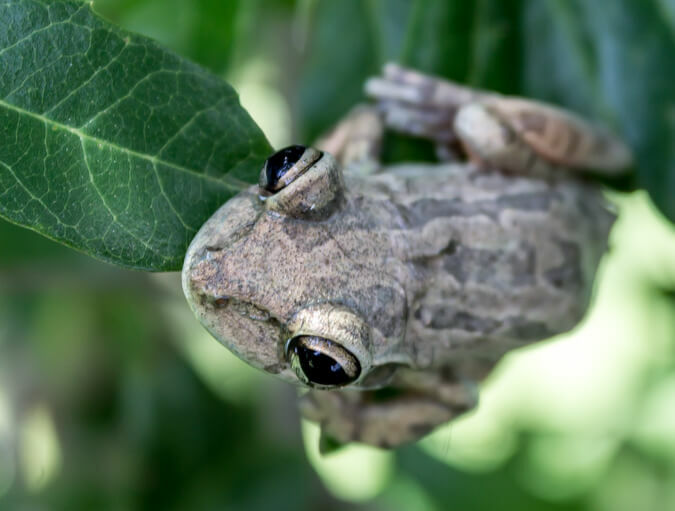 In the case of tree frogs, the solution is simple, wrangle then relocate. Step one: Wrangle the tree frog. Tree frogs are remarkably fast and agile little creatures. Equipped with suction cupped like feet they can stick to virtually everything. You may find them stuck to the sliding glass door one second and suspended from a curtain the next. 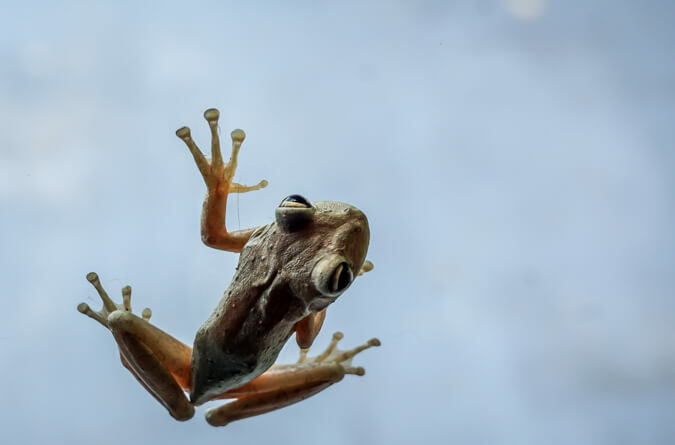 Although tree frogs are fast, with perseverance and a delicate touch you should be able to evict them from your home without causing any harm. 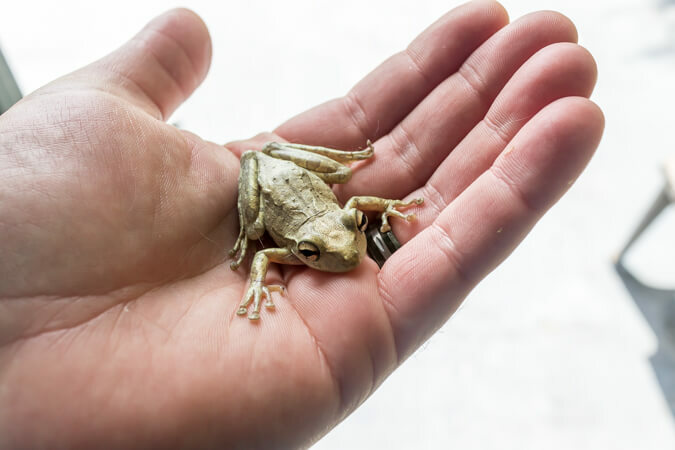 The best technique for catching a tree frog is to swiftly and gently lay your cupped hand over the creature, then close it for the capture. Tree frogs will feel slippery at first but with every failed attempt to catch one, they will dry out a bit making them feel increasingly sticky and easier to handle. To avoid escape, the best thing to do is keep your hand closed until you make it outside. Step two: Relocate the tree frog. 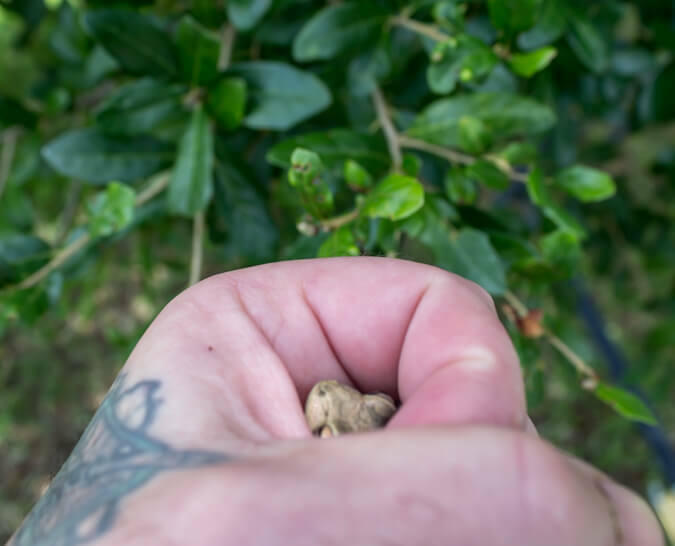 Once you have the frog securely in your possession, make your way outside and deposit it on the closest tree branch. 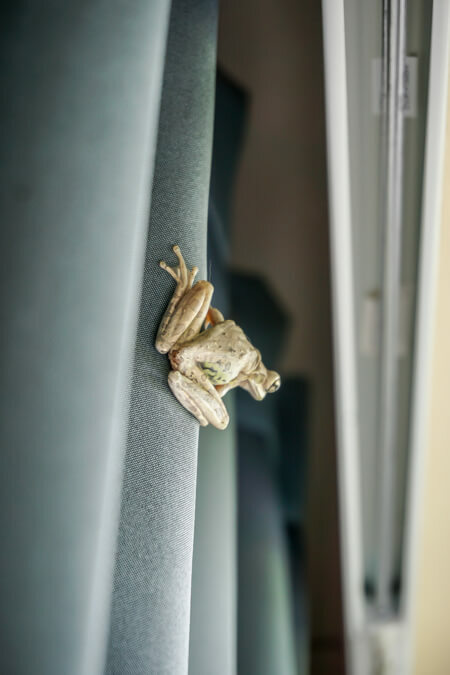 Relocation is the best solution because tree frogs have a voracious appetite and consume massive quantities of bugs. 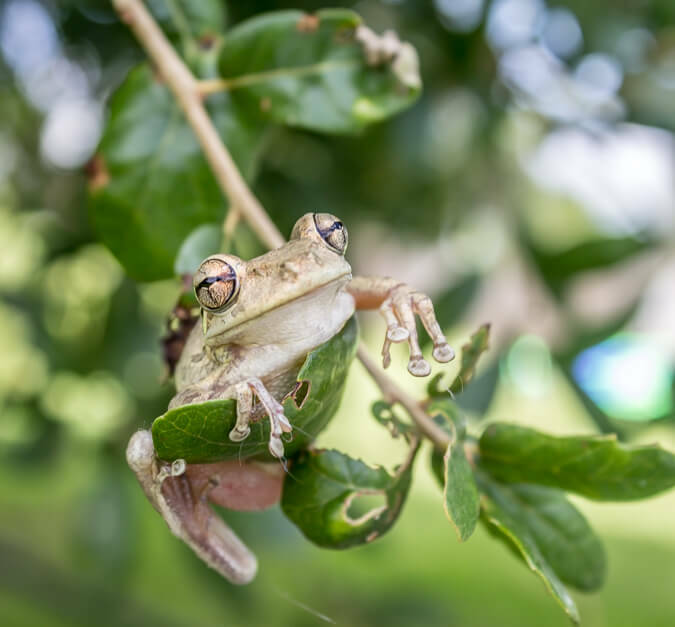 To perpetuate the circle of life and reduce your backyards insect population, releasing them rather than killing them will always be the best option when it comes to tree frogs. Oh wow, I am so not a frog person and this invasion would so freak me out.